Loan secured by property, in the first position. Backed by personal guarantee from borrower. 6-month expected term (roughly April 15th to October 15th). Fix-and-flip. Loan-to-value is 75% per independent 3rd-party appraisal. Proceeded to collect $45.83 of interest on the 15th of every month (pro-rated on partial months). Kept collecting $45.83 of interest on the 15th of every month (pro-rated on partial months). 3/15/16. Notified that house in under contract for $300,000. 3/30/16. Loan was paid in full. The loan term was supposed to be for 6-months (one of the main reasons I chose it) but the process took longer than expected and the total loan period ended up being nearly 12 months. My total interest payments were $517.91. I also received an additional $75 fee for the loan extension. I thus received a total of $5592.91 over 346 days, for an annualized return of 12.5%. Without the extra $75 penalty fee, my interest payments would be right at the promised 11% APR. Be patient but decisive when selecting your investment. You should be comfortable with the local market situation as well as the numbers like loan-to-value ratio. You should know what you want, ignore anything that doesn’t fit your criteria, and act quickly when you see something that does. This is really the only part of the process where you have control, so use it wisely. Understand the contract. Just because there is a “6-month expected term” doesn’t mean you’ll get your money back in 6 months. You should read the terms carefully to see what options are available to the borrower if they can’t make that date. Is an extension automatically granted? Is there an increased interest rate? How long does the extension last? Liquidity and more patience. One of the defining features of this type of investment is that it is highly illiquid. If I buy a mutual fund, I can sell the entire thing and get fair market value as cash in my bank account in a few business days. With an investment like this, the borrower could pay it back early, take their sweet time, or even default entirely and they’d have to liquidate the home before I get my principal back. That could take another several months. You should not need this money any time soon. Low-maintenance. The good part of having no control is that you don’t have to do anything. I just sat back and had the interest automatically swept to my bank account each month. I received a simply 1099-INT for the interest earned through this loan, and it was quite easy to deal with at tax time. Updates. I did not receive constant updates on this loan, but I think the updates were adequate. I was given a couple of photos on the remodel progress and updates on loan extension, house listing, house listing changes, and house being under contract. You do not have any two-way contact with the developer. I will admit that I was nervous for a little bit on this house. I could track the house listing on real estate sites like Zillow and I questioned some of the cosmetic choices that the developer made, including painting the house an gunmetal-grey stucco. I also questioned the high listing price of $325,000, which I thought they’d never get and would scare off potential buyers. It all ended well as the house was repainted into a neutral beige and the developer agreed to sell at a good price. Will I invest again? Well, I can’t help but be satisfied with my 12%+ annualized return, but things could also have dragged out a lot longer. I will probably invest again, but at a different real estate site, if only to see how they might handle things differently. I’m in it to make money, but I’m also in it to learn as this is my “experimental money” fund (even Burton Malkiel and Jack Bogle have such accounts). Very interesting. Much better interest than I’m getting. Are you going to do it again? Michelle – He answered this question in the last paragraph. Jonathan – What other sites does this type of service? Do you think that there is enough history to these sites that warrant a specific “grade” to their lendees? Lending Tree and the like provides grades to the people that are applying for the loan, I wonder if patchofland has a similar structure. my situation is very similar to yours. also in Sacramento, also went over the initial 6 months loan period. also had a hard time selling. been sitting on the market for many months without selling. loan went into default in march, did not receive interest. 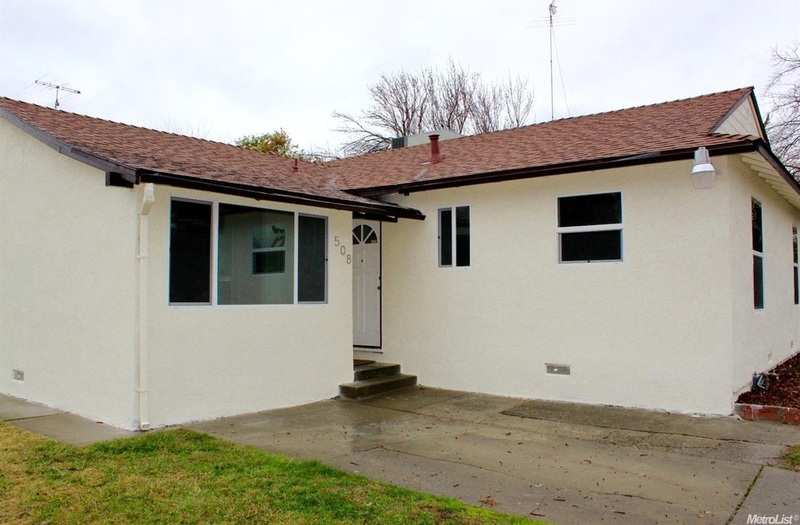 now they say it is in escrow and suppose to close end of april. communication from POL is pretty bad. you never quite know what exactly is going on. would not recommend them. should know in the next few days how much money I get back. Any updates on the skg POST ? Hi there… I’ve had a much different PoL experience – maybe because I diversified and invested at a higher dollar amount. I purchased 10 notes at various dates and in different geographic locations in 2015, all with 12 month terms. All are current, and 4 of those have refinanced, and paid off early. I do expect a few will go past the term, but that is expected and clearly stated in the disclosure documents. And that’s okay too, since there is continued interest payments. Also, important to note, PoL is the only crowdfunding site that expose overall statistics, and they indicate there has never been any loss of principal. Never. PoL is also actively communicating with me and answer all my questions promptly. With that being said, I also invest in RealtyMogul and iFunding. These sites have a wider range of properties, including commercial deals with equity components. They can pay much more, but have a longer term and are more risky. Additionally, these sites do not “pre-fund” the investment, so after you pledge, you have to wait until other investors fully fund the deal, and then more time until it closes. (I pledged a deal in Feb 2016, and it closed on April 1, with first quarterly payment to me on Sept 1 – that’s a long time to wait). I find both these sites communicate frequently, and answer all my questions. Yes, I’ve run into the delay with non pre-funded investments with RealtyShares as well. It took me a moment to realize why Patch of Land interest posted so much more quickly. 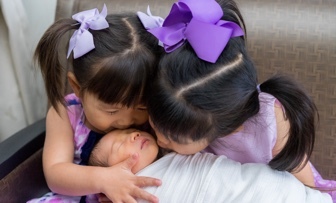 4 have fully repaid either on time or a little early. In all cases, interest was paid each month on time very reliably, just like a bond. Of the remaining 4, 2 have gone into extension but are still paying each month exactly as expected. Since the rate is so high, im thrilled to still be receiving the interest and dont mind the extension at all. One went into default and stopped paying for 4 (somewhat nervous) months but then was finally fully paid-off and actually paid significant extra bonuses for the default so i ended up making out like a hero on that one. Since i am now more familiar with PatchOfLand’s process i suppose i feel much more confident in them. The last one is not due yet and is still paying each month as expected. 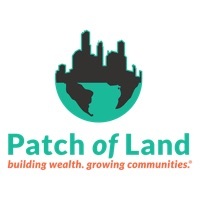 I would definitely recommend PatchOfLand.com to anyone, especially fellow retirees looking for high yield and reliable monthly fixed income payments. I’ve invested in two crowdfunding sites myself. They are working out well at present, but not an established track record at present. Maybe I will post on these at a later date. I’ve noticed on Michael’s post that he wants more frequent updates. I agree that initiating that would make us investors feel more comfortable, but it would require more operating personnel and additional cost. Really like this site, as investors will be exposed to more and more unscrupulous sponsors in the future. We need to make sure they are exposed. “Thank you for the e-mail James. We appreciate your feedback. FYI, I agree strongly with Michael that these deals are a very good fit for retirees (like me), looking for high yield and reliable monthly payments. While there is always risk, with diversification, and careful reading of the property description, I believe there are many high quality opportunities offered. Keep posting here. We need a record of how capable all these crowdfunding operations are operating at present as well as in the future. I was surprised to learn such kind of investment. Just wanted to point out that we all want to receive more frequent updates, right? However, communications cost money, right? At POL, they need people to go to the various sites (mileage claim about $55/100 miles), take pictures, upload them into POL system, tailor that to individual requests. Doing all these would cost money, especially in the California area, where minimum wage now is $10 + payroll taxes costs, and very soon the minimum wage will be $15 + payroll taxes costs, as Governor Brown recently signed it into law. If you want a low cost run of a business, the POL needs to cut its cost to the bare bone, right? After all, we all want high return, low maintenance cost, less risky investment and return, we need to cope with POL’s prudent business practices. Please do not ask more–asking these are not free. Got my points? Thanks for this topic. Point well taken, Wanny. However, they need to stay in touch with every funded operator. Should not be too difficult to pass along the info. Just my humble opinion. This makes your investments with them safer. While i can tolerate losing money in the markets or in my investments, i would absolutely hate to lose money simply because my platform went bankrupt. Another reason why i would whole heartedly recommend Patch of Land. Is realty shares pre-funding? Any difference in the fees. Management fees, etc.? good news, I finally got my POL principal back. it was suppose to be a 6 month loan but went on for 13 months. the last two interest payments were in default. they did pay the interest along with the principal. The borrower didn’t make much money. I think he broke even. 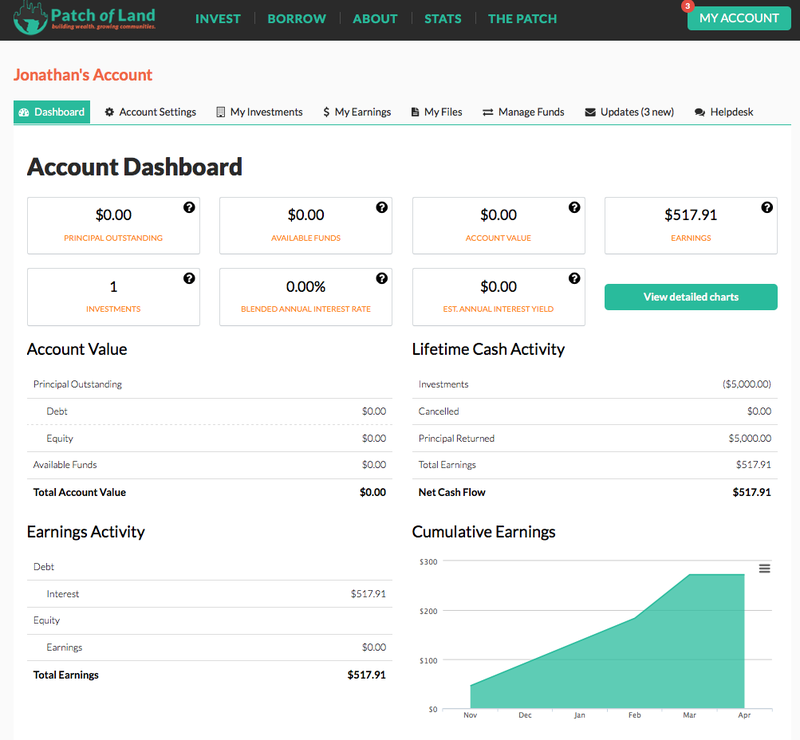 has anyone tried investing with PeerStreet which is similar to POL started by ex google employee. mr Money Mustache has a review of it. I don’t think I will invest with POL again. There communications is pretty bad, and you don’t know what is really going on. often times i would post questions and make it public, but the questions never show up. And, I never see questions from the other investors. I think they are also understaffed. skg: We need to try to initiate more activity “right here” on this site. I’ve invested in several crowdfunding sites. There are more & more popping up. Gotta be careful. Be careful with Patch of Land. I invested in 2 projects just over 1-year ago. The first project was paid off in full after only 1-month, so I assume they refi’d out of the loan with POL. The 2nd, is now in default. 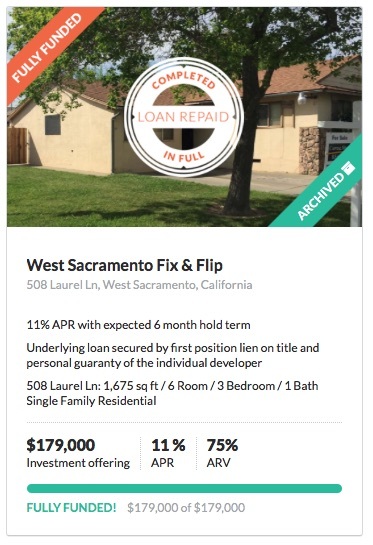 I understand that this is part of the business and these types of investments but the last update was July and the loan is still listed as “current-on-schedule”. I have called and emailed multiple times and when I actually can reach someone, they don’t seem to have any answers. The communication is horrible. For that reason, I will no longer invest with them. I had similar experience with POL. communications is pretty bad. my loan was extended by 7 months. eventually got my money back, but I don’t feel safe with them. Also, if you see my previous post I found out that on one loan the borrowers were under indictment for money laundering which POL only found out from me. All I did was a simple google search. Then the next day they show the loan as fully funded and closed which was a complete lie. Did not see your post about a borrower being under indictment. Have any more specifics? Thanks for calling out these different operators. We need to stay ahead of the sponsors. Otherwise we will possibly stand to lose a lot of money. My investments were not so lucky. I have 32 investments, 44% of them are in default. Terrible! The default rate of the investments at Patch of Land is very high. I am extremely sorry to hear about your experience! I tried to contact you directly but I can’t find any investor by the name of John Medley on our platform. I assume you are probably posting under a pseudonym but I can’t find any single investor that is involved in that many problem loans either. Could you please reach out to me directly and I will immediately drop everything and look into your situation? You can email me at: jfritton@patchofland.com. Have you received any info from John? I’ve invested with other crowdfunder’s and I’ve been considering your company. Let me know what you learned, if you have the time. I think “John Medley” just got exposed as probably a nervous new competitor who is trying to sully the reputation of Patch of Land….. ?? Guess it shows why you can never really trust what you read on these online reviews – especially in the comments! How can we make these blogs more reliable? We need to know what is going on at the crowdfunding sponsors.